If at first you don’t succeed, getting up, dusting yourself off and trying again might be the thing to do, but if you fail 9 times in a row you might better give up all together. Just when we thought that things couldn’t get any worse for Microsoft and their internet browsing solution and here comes the announcement of Internet Explorer 9 to prove us wrong. And the ever-present rendering issues that have plagued the Internet Explorer browser for ages now are obviously here to stay. 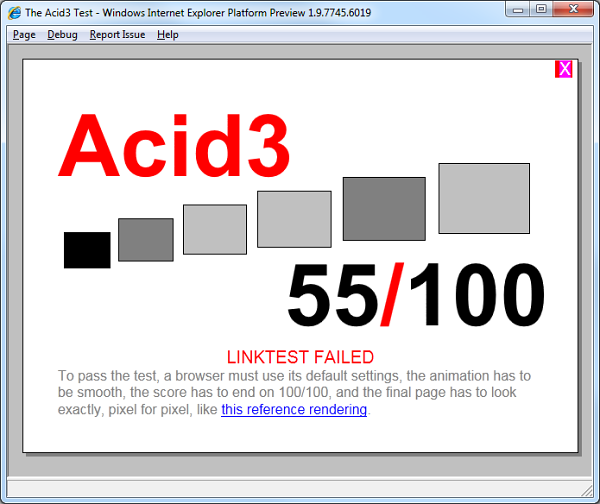 IE9 scores 55 (out of 100) on the Acid3 synthetic test, where as most of its competitors get a perfect 100. 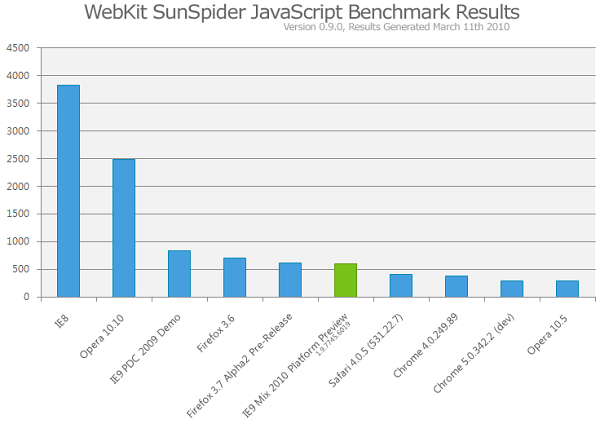 So that’s that then – if HTML5 video playback is your thing and you run Vista or Windows 7, then the IE9 might be worth all those inconveniences. All the rest should move along as there is nothing else to see here. Here you can download a developer’s preview of the Internet Explorer 9 browser and take it for a quick spin around your favorite websites.